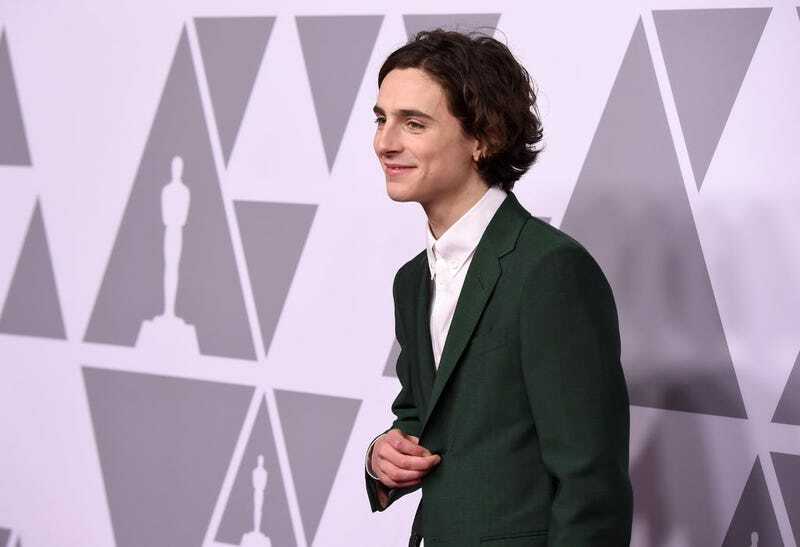 Earning an Oscar nomination while acting opposite Armie Hammer is quite a feat, but Timothée Chalamet is getting a kingdom for his next role. According to The Wrap, the Call Me By Your Name breakout is signing on to play Henry V in the original Netflix movie, The King. Animal Kingdom writer-director David Michôd is helming the historical drama from a script he co-wrote with Joel Edgerton, who looks increasingly at home in his Netflix environs. Henry V reignited the Hundred Years War with France, but this film will explore his early days and inner conflict with being thrust into power after his brother is killed in battle (the real Henry V succeeded his father as king of England). Chalamet more than held his own as the emotional, yearning core of Luca Guadagnino’s Best Picture nominee, but displaying a growing ease with waging war will show us a new side of the talented young actor. Filming begins in June, with Brad Pitt’s Plan B company producing.